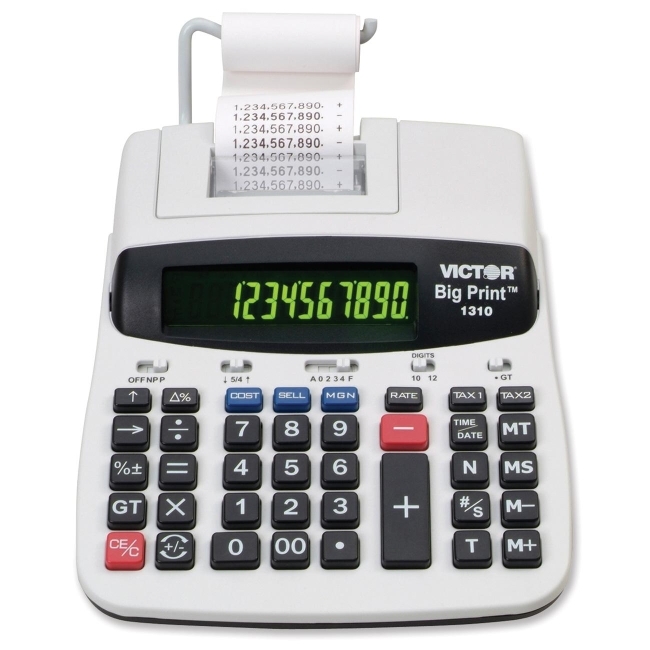 Thermal printing calculator delivers extra large print that is 2.5 times standard print size when the LCD is set on 10-digit display. 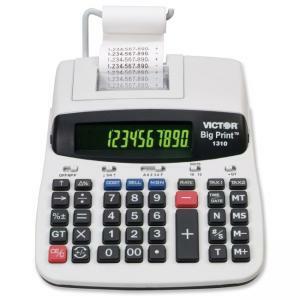 Calculator generates standard print size when switched to the 12-digit display. Two-color backlit display only switches from 10-digit to 12-digit. Digits turn red with negative numbers and green for positive numbers. Calculator prints 6.0 lines per second in both sizes. Functions include cost/sell/margin, two independent tax keys, item count, grand total, time/date and three-key independent memory. Calculator runs on AC power only.